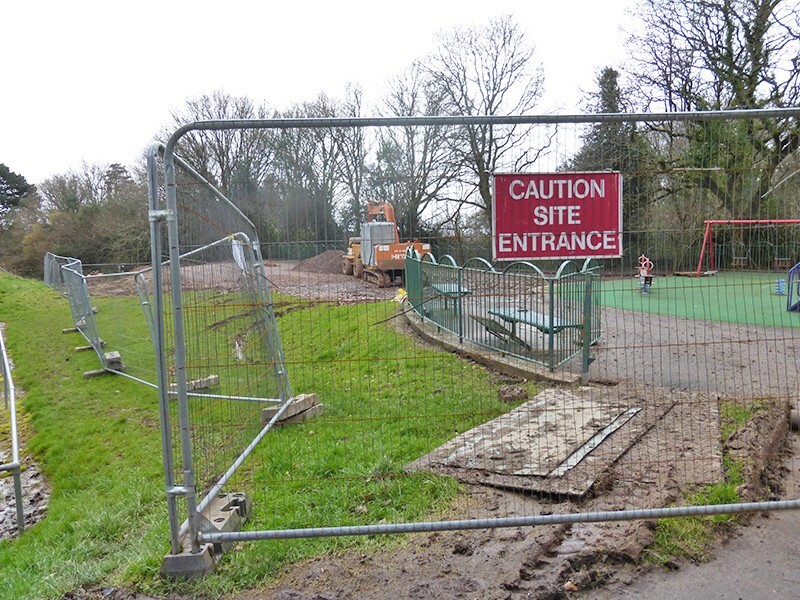 Improvement works to the playground at Heol y Deyn Park in Lisvane have now been completed. 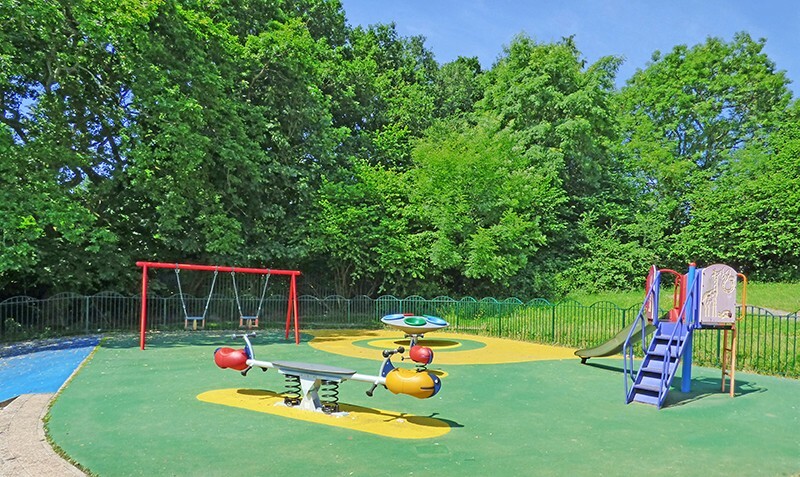 The new larger playground includes a zipwire, a spinning cone climber, a ‘double dynamic rider’, a whizzer, and a new roundabout. 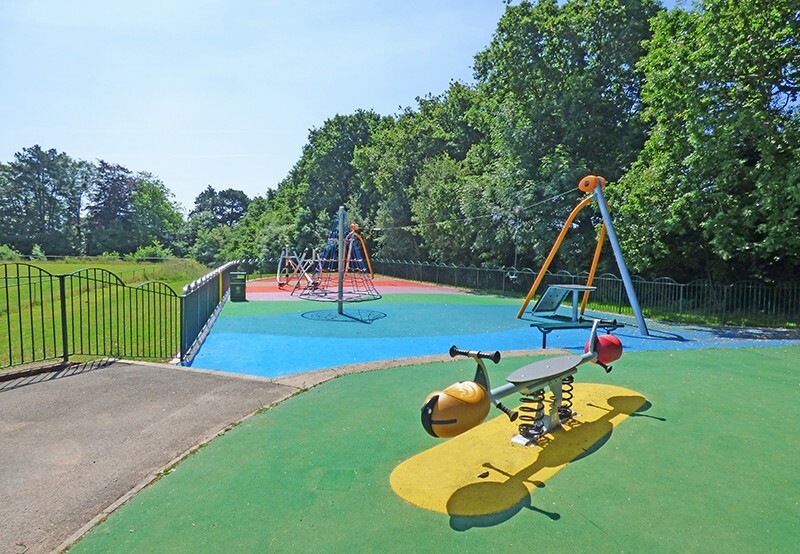 New benches and bins have been added, and rainbow-coloured safety flooring brightens the area. 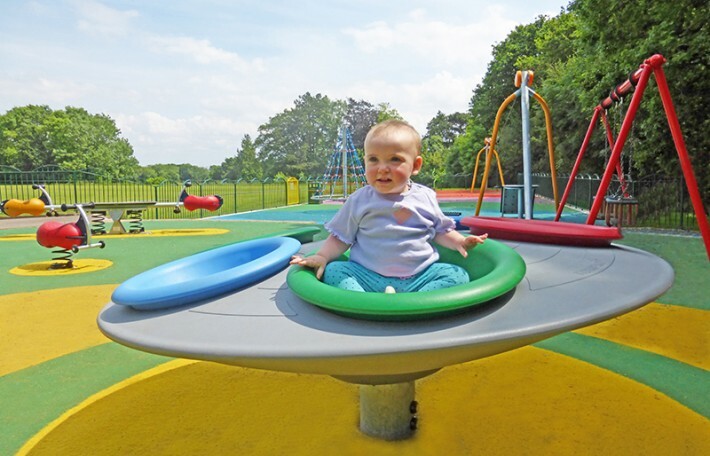 The increased variety of play items caters for children from toddlers up to 12-year-olds. 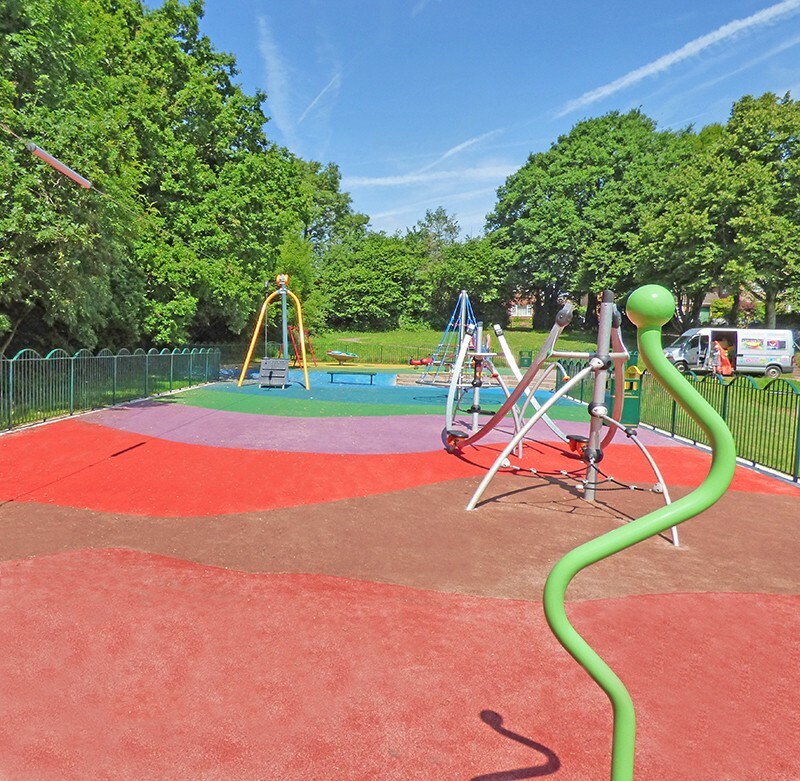 This project forms part of the Council’s Neighbourhood Renewal Scheme Programme and was put forward by your Local Councillor. • No provision for children aged 6-12. • Equipment looking tired and out of date. • Safety surfacing in poor condition. 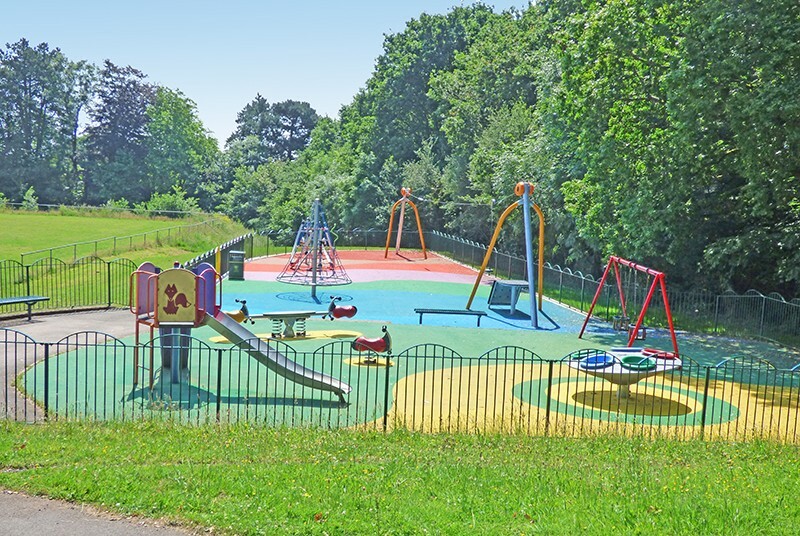 Following community consultation, a new playground with a broader range of play equipment was designed. 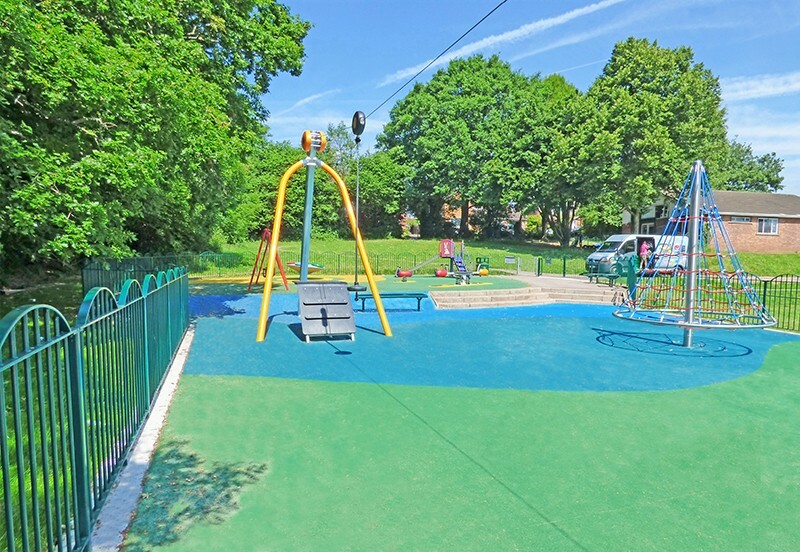 Following installation works, the playground was opened in spring 2017.